He breathed his last on November 30, 2013. He was 73 or 76, depending on which source you read. Born Pascal-Emmanuel Sinamoyi Tabu, he would later go by Tabu Ley, following then President Mobutu Sese Seko’s push for complete de-colonization among the country’s elite and A-listers. A lot has been said about his exploits on the music scene and its impact on the continent’s music fraternity. So we’ll not repeat the same here. We are talking his legacy. Something that will always remind us of his existence on this planet, aside from the music. There is the small matter of investment. Something one could rely on when they can no longer hit the stage. A fallback plan in a case that their star fades. Not much was known about Tabu Ley’s financial status at the time of his death. Until his health deteriorated, he was the Minister of Culture and Arts, Sports, Youth and Leisure, and Tourism in the City-Province of Kinshasa. You can bet he was a satisfied recipient of a handsome monthly stipend. Tabu Ley is said to have been a doting father, ensuring that his children got all the basics in life. These included good education, among others. The young ones, unfortunately, may never get to live the kind of life he’d have loved them to live. It is believed that he fathered over 70 children. Four of those, Pegguy Tabu, Abel Tabu, Philemon and Youssoupha Mabiki (who has French Citizenship) followed their father’s footsteps. They are into music, albeit in different genres. There’s Melodie, a daughter borne out his brief relationship with Mbilia Bel (Yes, their relationship went beyond the mic). She features on his last album, Tempelo, released in 2006 with the help of a friend, Maika Munan. During his final days at St Lucas Hospital in Brussels, where he passed on, he was in the constant company of another daughter –Inna, and two sons. One of those was Marc Tabu, a France-based journalist with CFR6. He was the first person to break the news of his father’s demise, on his facebook timeline. Not much is known about the others, though. Some were barely out of their teens at the time of his death. Barely able to fend for themselves. Paul Job Kafeero(Uganda): At the time of his death in May 2007, sources close to him said the Kadongo Kamu maestro was survived by 10 wives and 27 children. Because he died young (he was 36), he did not have a grown-up offspring. His eldest child was only about half his age, having sired him at a tender age of 18. He known for songs like Walumbe Zaaya, Olulimi Lwange, Buladina, Dipo Nazigala and Galenzi Mwe. Herman Basudde(Uganda): Another Kadongo Kamu ace, Basudde died in a motor accident in 1997, and is said to have left behind a number of children, most of them still young at the time. Popular Songs of his time included: Bus Dunia, Ekyaali Mu Ssabo, Abakyaala Ba Bbeyi and Abankuseere. Franco Luambo Luanzo Makiadi (DR Congo): Commonly known as Franco, he had one of the greatest rivalry in the history of African music, with Tabu Ley. He fathered at least 19 known Children, 18 of whom were girls. In his song: Matata Ya Mwasi, he wonders why God decided to bless him with all of 18 girls, but could only afford him 1 boy. His other hits included the timeless Mario, Mamou, Candidat Na Biso and Tres Impoli among others. The Cautious Ones: Not all artistes bear them in droves, though. A number of them have had families with manageable sizes. Sizes that may not pose administration challenges in the management of the deceased artistes’ estate, if they left any. 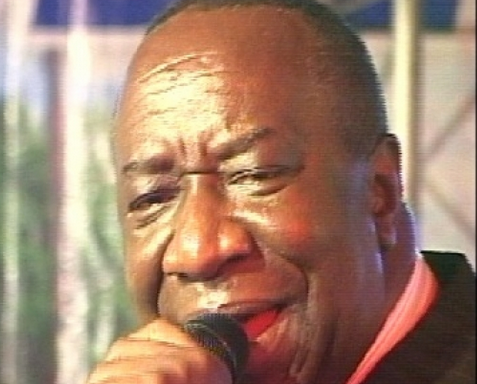 Madilu Systeme (1952 – 2007): Born Jean De Dieu Makiese, he was christened Madilu by Franco. His most notable efforts were on two of TPOK’s most popular songs: Mamou (1984) and Mario(1985). He also did a couple of personal projects, the most popular of which was Ya Jean (Commonly known as Ngayo Ngayo at its peak). He had 4 children. Cool James (1970 – 2002): Née James Dandu, he was also known as “Mtoto wa Dandu”, a Sweden based Tanzanian artiste. 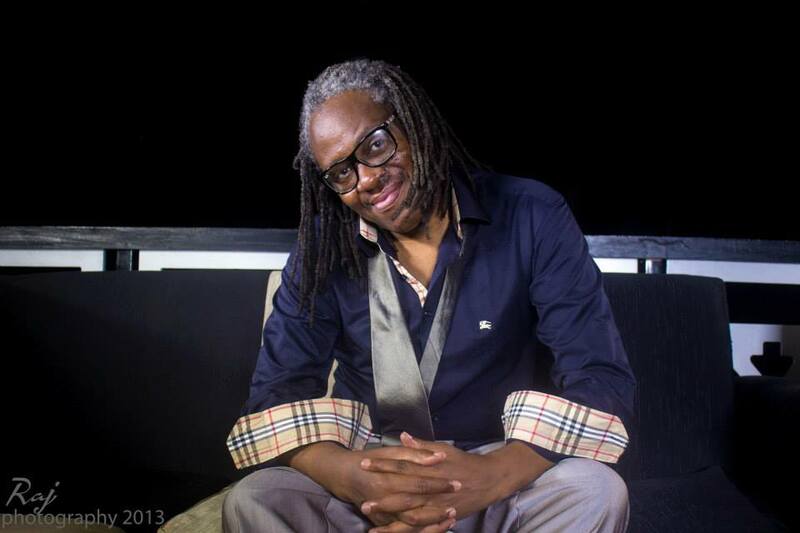 He is famous for his runaway hit: Sina Makosa a remix of the timeless classic by Les Wanyika. He died in a car accident in 2002, and had 2 children. Pepe Kalle (1951 – 1998): He was born Kabasele Yampanya in Kinshasa(DR Congo), and only adopted the name Pepe Kalle in honour of his mentor Joseph “Le Grand Kalle” Kabasele. At 6′ 3”, he was a towering giant, and was affectionately known as the Elephant of African music and La Bombe Atomique. He was famous such songs like Don’t Cry Dube, and Roger Milla among others. He had 5 Children. Lucky Dube (1964 – 2007): Probably one of South Africa’s greatest musical exports to the continent, and the world. The reggae artiste was shot dead in 2007, aged 43. He was survived by 7 children. His most popular songs included Remember me, Prisoner, Slave and Different Colors among others. Lessons from the Educated Rich? A cursory glance at Africa’s latest rich list reveals an interesting trend. Most of them have small families. Could this be a key factor to one’s leaving a commendable legacy? One could argue that such a class of people are a lot more exposed, and easily learn to manage the temptations and supposed niceties that come with their kind of lifestyle before they mess up. Many of the artistes hardly got decent education. They may not resist the trappings that come with such levels of stardom. Franco had what you would call very basic education, and only took his career more seriously after his father died and he could not raise school fees. It was almost a similar fate for Kafeero after his father abandoned them at an early age. He had to think outside the box for a livelihood. The same can be said of Herman Basudde. Tabu Ley only stopped in secondary school, which was no mean feat at a time when majority of the adult population in the then Zaire was illiterate. It was not long before he started living his life in the fast lane. The artistry and talent may be God-given and all, but such literacy levels can only attract the kind of company that is not going to hold pertinent personal development conversations in many an artiste’s spare time. 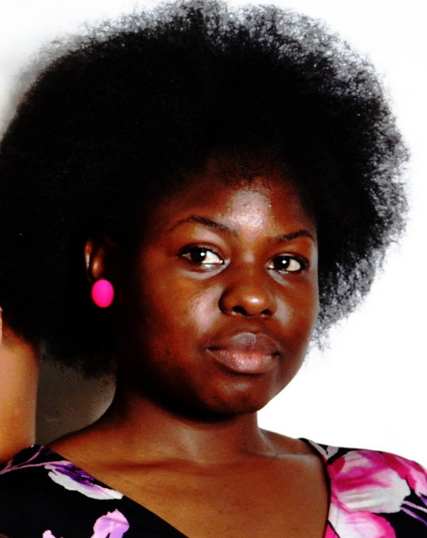 She may not be your obvious household name in Ugandan music. But she has a couple of songs out –those I am aware of. Not many have even heard of her. A Google search returned an uncoordinated set of results. Random names from places as far-flung as India and Indonesia. It was at this point that I realized I was on a wild goose chase. I only got to know Afrie through a friend, Bwesigye Bwa Mwesigire, an avid fan of Pop, Soul and a bit of RnB, depending on the artiste (Any new release from Nneka leaves butterflies in his stomach). Over time, I have grown to trust his pop taste, so I decided to check Afrie’s music out. A few songs were available on reverbnation; Hello Sky, Askari and My life. Quite decent efforts, I must say. I am not quite sure if she has more in stock. You can check out her playlist, here. Hello Sky begins with a somewhat laid-back intro of sorts, and one is tempted to imagine the rest of the song is going to be flat. That is until she ups her contralto to lunge into what turns out to be the song’s catchy chorus. My life has a slightly faster tempo, with an RnB feel. Lyrics remain pretty much as simple as in Hello Sky. The production is quite okay as the instrumentation does not overshadow her voice. So she passes with flying colors on this aspect. In both songs, she still manages to hit the high notes –by her standards; something close to mezzo-soprano. Askari, the third song on the list is sang in 2 main languages, English and Luganda, with a little blend of Swahili. It could do with a little mastering and a good video. Overall, I think she could do slightly better with a little vocal training to make that smooth transition between the high and low notes, without necessarily veering too far off her comfortable contralto zone. Not a bad start by any means. It only remains to be seen if she will tick all the boxes in the relevance checklist to stay afloat in today’s dynamic music industry. Hers is a tricky genre, but certainly not one that will invite weekday gigs from shanty suburbs like Bwaise. Without a proper management team, she could still hit the crowded road to oblivion. We all have a favourite playlist, maybe not all of us,on that playlist we at least have a favourite musician, and for every musician we have a song or two that we fancy most, even if you don’t like the musician. Well there is a person missing in the picture, the person who delivers this song/musician to you. Unless you are a music search engine (you know it all and have it before it hits the market), the rest of us rely on a certain person to help us update our playlists. (S)he plays the song for us to listen, if you like it you run to the internet and pirate it or tickle a couple of friends on whatsapp to send it to you and boom! Your playlist has been updated. In this case, its the dj who makes that happen. By dj, i am not only talking about club or party Djs, radio djs are also included. Here is a list of my top 10 ugandan Djs. They may not be the “in your face” kind, but neither are they the type that you will find on the second page of google. Better still this is my choice, if it is not to your taste just put it into consideration that one man’s Ex can be another man’s next. Number 10 is a feminine touch in a male dominated profession. She personally changed my view about female djs. I always thought female dj’ing was either for those in the UK and USA or she had to have dreads and wear buggy jeans (Dj Racheal). Always dressed to kill, sometimes revelers may mistakenly direct Karo to the VIP section instead if the Dj’s box. Incase you are asking your self where you last saw her, she was the guest Dj at The radio Shake down. She has also been to other high profile events like The FNL finals and last years Samsung twitter party among other. From the back of the library, a lost classic. Putting alcohol addiction and relationship disputes (attributed to him by the media) aside, this guy has had a great impact on the music industry. With a variety of radio programs to listen to as you drive, or while in taxi on your Chinese phone as you head home from work in the evening, there was a time when the capital sun downer was the unbeatable choice thanx to Dj Alex. He is best know for his old skool mixes as well as trash talking the new skool djs for their “wack” mixes, Although The saturday Dance Force on 91.3 Capital fm is what i mostly remember him for. Omukunzi ng’asunda is the slogan he chants repeatedly while doing his thing. This veteran Dj is the longest serving presenter at Capital fm. So if you are looking for experience, look no further. He has faded with time but as the luganda saying goes “atakulaba y’akugaya”, grandpa remembers Dj Alex’s mixes like it was yesterday and tells the story with an ear to ear kind of smile. Allow me take you back to my roots for a little while. I’m talking about Jinja aka the Stone Town. When it comes to the land of potatoes and “rolex,” the game is a one man show run by the one and only Dj Andrea. Any single night i’m in Jinja, this guy is the stress releaver. He will always be available at Queens Palace to suit your mood just as long as you catch him on the right side of the coin. His versatility with all the music genres is what has help him creat a legacy in this almost dull town dominated by tourism and little partying. Different theme nights, different mood, same Dj! Thats how my Jinja homies roll. In the seventh spot is our brother from the Northern water tribe. Probably the youngest on the count down, Dj Baby Love is the self proclaimed C.E.O of Young Blood Entertainment. He is the perfect substitute i use every friday i fail to make it to club but in the moods for partying. I just tune in to koona ne NTV despite the fact that of recent his mixes have become predictable ( someone should tell him that). He has been consistent throughout his years at Govnor and with a whole lot of years a head of him, i still have hope in him and expect more. He is the Robin Hood of the Industry. He is the Dj of the people by the people for the people, (where people stands for the lovers of kidandali music). This is so because he understands local music better than any other Dj in the game, he then spices it up with a reggaetone touch which throws his audience into a temporary state of insanity. He also mastered the art of reggeaton remixes which at point in time enabled him win over the heart of the common man and hight school students (me inclussive). This explains why and how he has managed to make The Buzz Teeniez Award for Best Teeniez Dj a one man affair. It is also the same reason he won over Mr Kabushenga’s heart to grant him a spot on Bukedde Tv( tivi y’omuntu wawansi). The self proclaimed Silver Back has over the years proven himself a masterpiece Dj in the hip hop genre. His skill were also appreciated by the USA based Haitian star Wyclef Jean on his visit to Uganda. He has also share the decks with America Dj Benny D. His great connection with the crowd and gradual interaction with the audience is what makes him good at his job despite the fact his genre is not Uganda’s favourite. In my opinion i think his skills are on the reasons why club l’boujoulase managed to survive longer than predicted. His track, Ug stand up, on the other hand is something that should have never happened. Nonetheless well tried jungle boy. Talking of imported talent, in the 4th spot is another imported and equally talented Dj. He is a legal migrant who has found peace in a rather rowdy city. He is arguably the most interactive Dj although some times he goes beyond the desired limit which at one time got him into a verbal exchange with a random fan (@Bkyeyune) on twitter. He bacame a talk of the town after he was booked for the saturday variety mix at legends bar. I sometimes think he delivers more than he earns. His skill on the 1s n 2s have also won him a place on Uganda’s radio of wannabes 100.9 The Hot 100 alongside the captain himself Dennis Musanje aka Capt. DMS and has since then changed his username to mr 3s and 4s. I call him the Nerd of the industry, may be because of his spects. With his ability to smoothly transits from dj’ing to radio presenting to tv hosting do you stil have any questions why he is on the list? thought so. His coming onto the entertainment scene refurbished radio dj’ing and has seen radio operators shift from just normal radio presenter to professional djs for live mixes and on the other hand it left a few wannabes racing to upgrade their skills or else lose their jobs. With a catchy/ freaky radio ad you surely wouldn’t wish to to miss a second of any of his mixtape or live mixes on the currently Uganda’s most wanted show SNMS on the youth’s favourite 97.0 Radiocity. Beside dj’ing i enjoy his podcasts and spend half of my monthly data stalking his website for any new blog or podcast. (too bad he hung up the boot as far podcast are concerned). He to has been to big stages like dj’ing in the big brother house among others. His shows are catchy and usually end before you are ready. When asked a bout EDM he said, “EDM has a limited, but dedicated audience in Uganda. I cannot see downtown people embracing it, but in certain sections of society (especially those who tend keep a longing eye on things happening abroad) it has been embraced.” Which is absolutely true! 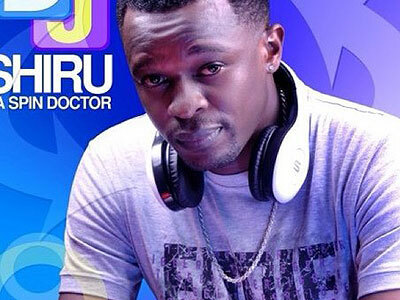 Dubbed Sir Aludah by his loyal fans, Dj Aludah is the best Battle dj in Uganda’s diaspora. After winning back to back championships, the oganisers were left with no choice but to make him a consultant after nicknaming him The turntable terrorist. If you let him introduce himself, you might think he is sounding a drum for himself but once you listen to any of his mixtapes you will realise the drum was not loud enough. He is one reason i’m planning to buy Dstv. Besides premier league, i getting tired of visiting the neighbours every time channel O’s bessment show is on air. Yes! He runs it. He too is one of the other dj’s tha make 97.0 Radiocity the youth’s favourite. He runs the show everyfriday night. This may come as a surprise to you all but before you say aaaahhhh…or nkt! Take a chill pill. His skills on the decks as well as the diversity and versatility in the entertainment industry is what makes him my number one choice. Singer, producer, beat maker, radio presenter, tv host and manager are his other professions besides dj’ing. Michael owor famously known as Dj Bush Baby first made his major appearance on the Tanzanian based 99.0 East Africa radio where despite being miles away from home, he stayed true and loyal to the home made music presenting a show called Uganda central alongsideSteve kafaya. Memories are refreshed every time i listen to songs likeBeera n’abo and genda okole both by Moris Kiirya because he is the guy who introduce me that kind of music. Being less appreciated in tanzania he moved his duty back to Kampala start with jaw dropping tv show XXL. 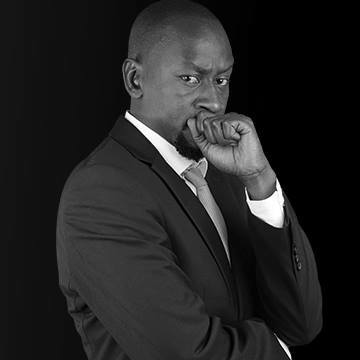 His skills are now being put to proper use on Urban tv & 94.8 Xfm. 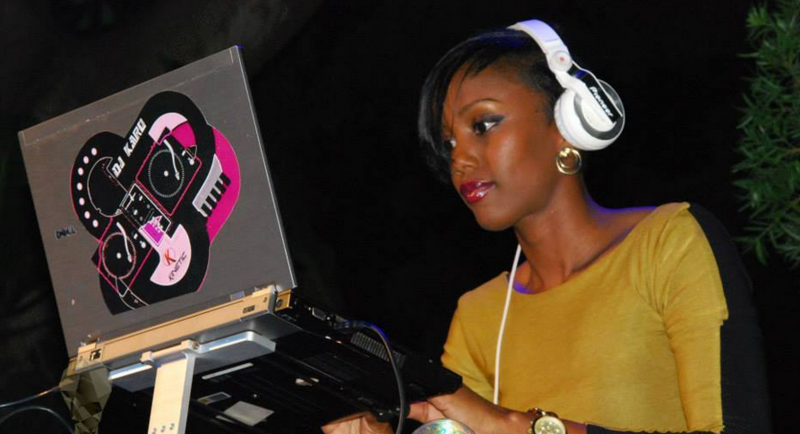 Local Artistes v DJs: Who’s Right, Who’s Wrong? Bebe Cool recently brewed a social media storm when he called upon Ugandan music lovers to shun DJs who give preference to foreign music. 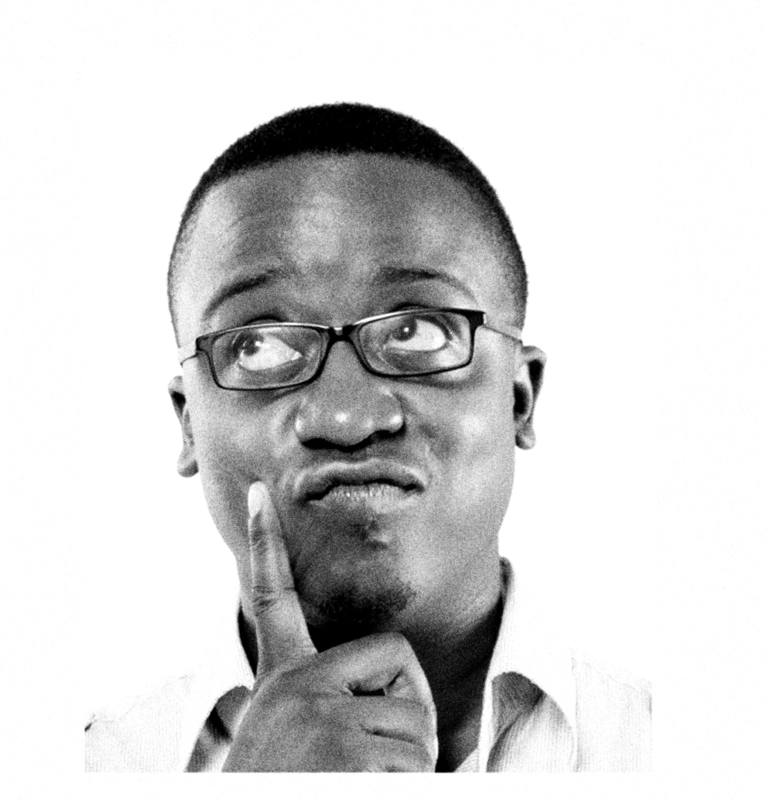 Drawn in this debate were two prominent figures –James Onen aka Fatboy, a former radio PD and current morning show co-host at Sanyu Fm, and DJ Beekay, a former Sanyu FM employee, now plying his trade at the Vision group-owned X Fm. 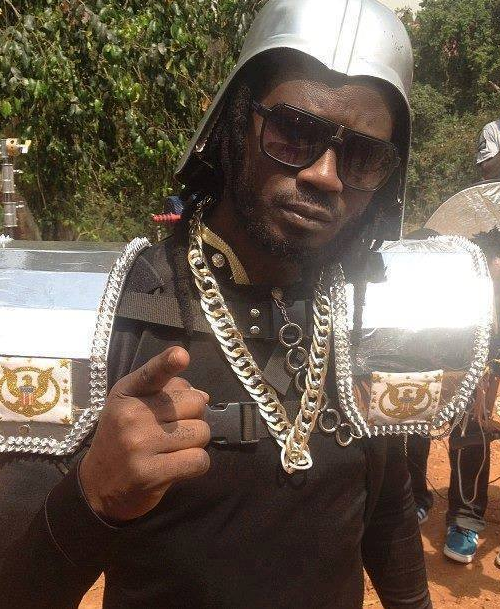 While Bebe Cool’s opinion has been twisted by a number of people to draw their own conclusions, some have rallied behind him for a common cause. Jose Chameleone, erstwhile foe had just aired similar sentiments at his own successful concert at Lugogo Cricket Oval a few days before. I will save the lurid details of this public spat for another day, and instead share my view on the debate. And on why Ugandan music is not making as reasonable inroads on the continent as it should. If the music is good, any reputable DJ will play it. The biggest problem is that Ugandan artistes have limited themselves to Ugandan producers –for both audio and video. Many a Nigerian artiste will go the extra mile to produce quality stuff. They know they have tough competition out there, despite the fact that they live in a country so populous that any product will still find it’s market’s niche. There is a reason most of the music will be produced in Nigeria, but the corresponding videos shot in other countries. Jude Okoye only started working on P-square’s videos after he had considerably honed his skills. Tough Sunday, a South African based video production house charges from $8,000 – $15,000 per video for their services. But they still get market because of the quality of their work. Now, compare that with an average Ugandan artiste who will have a budget of $3,000 for a video shoot. Are you going to expect the same quality? Will such a video get to compete with anything from Tough Sunday, Godfather Productions, Ahoy films or even Jude Okoye? Any music connoisseur will tell you that the video plays a big role in promoting a song. The better and unique a music video is, the more airplay it’s likely to get. There’s no doubt that Nigeria constitutes of the biggest market share of the available music channels on the continent, but any good quality video will always find its way to the top. It’s the same reason the Goodlyfe duo of Mowzey Radio and Weasel, Navio and Keko have had their songs enjoy considerable play on continental music channels. They invest heavily in most of their videos. With the exception of Deddac films, very few video producers have had their videos feature on MTV, Trace or Channel O. Many of these artistes are not versatile. Some often do music for themselves instead of trying to gauge the audience’s expectations. Many of them either lack proper guidance or advice, or are too arrogant to accept any advice of sorts. Someone will remind you about how they have been in the industry long enough to know what is good for their career and audience. One would have to take the example of Somali-born US based rapper, K’naan. Having initially written an entire rap album about the plight of his fellow citizens and the effect the war had had on the people, his advisors reviewed the same and advised him to something that would appeal to the mass market. Much as he loved his work, he had to heed to the advice. The end result? A couple of successful singles, one of which was the runaway hit collabo: “Is anybody Out There” (with Nelly Furtado). He has since done a number of others in a similar pattern, and is steadily staying afloat. Needless to say, those songs turned out much bigger hits than his Somalia chronicles, some of which never actually made it out of studio. Rihanna’s hit single, “Man Down”, cost a whopping $1,078,000 before it could hit the airwaves. This included a $15,000 writing fee, $20,000 for production, $10,000 for mastering, $15,000 for vocal production as well as $1,000,000 for song roll-out. About 40 songwriters had camped for her entire album. Now, compare this with your average local artiste who will elect to sit in his living room and craft what he thinks is going to rule the airwaves. Naturally, he will head straight to studio without having a second opinion on the lyrics. Most of these songs are not even mastered, resulting into a very poor quality final product. Of the $1,000,000 song roll-out cost in Rihanna’s case above, a considerable chunk goes towards marketing the song. There’s a cost to fly the artiste around, and the other is for Radio. Popularly known as Payola, this is a practice of having to “treat the radio guys nice” as Ray Daniels, a manager of a song-writing team of two brothers says. Illegal as it may be, it’s one of the unavoidable costs artistes must incur to have their stamp on the market. Certainly, and as one would expect, no radio person is going to come out and admit this. Many of our local artistes somehow expect to out a song that eventually finds its way to the airwaves. Most of the work from our artistes always tends to sound similar — the beats, bridges and tempo. They always all flock to the hottest producer of the moment. When Leone Island studio had just opened shop (with that signature whistle, I must add), every upcoming artiste wanted to have their song done from there. In 2005/6, Kiwuuwa was the man everyone wanted to work with. 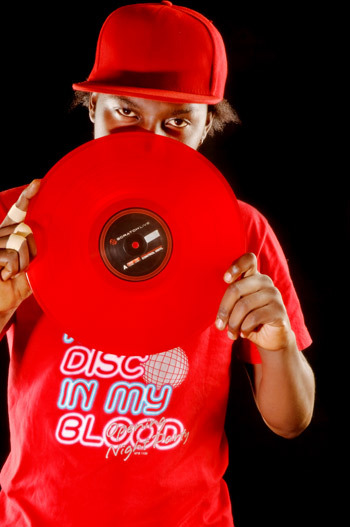 Songs like Tonywa Novuga (Roni Banton), Family Affair, Mukwano Nsonyiwa (Bebe Cool), Anfukuula (Grace Nakimera), Mundongo (Dennis Rackla), Tukumatira (Buchaman) and many others from Dream Studio ruled the airwaves. Thankfully, Nigerian influence hadn’t set in. So, it was easy for a DJ to play Anfukuula & Kibaluma, and follow it up with Omwana Wabandi (Bobi Wine) & Tukumatira (Buchaman) without sending the crowd to sleep. The audience would happily dance along. Jamaican music was not too much to suffocate what was being locally produced. Of-course, Leone Island and Firebase (with an emerging Paddy Kayiwa) remained with the odd hit, largely due to the clout they had built over time. Late 2006-8, saw the rise of Washington Ebangit. The trend continued. Today, there’s quite a number of reputable producers, although hit songs from a single produce tend to shine at about the same time. Paddyman [Basiima Ogenze, Tubonge, Valu Valu, Byansi Byakuleka (Chameleone), Eddy Kenzo (Most of his songs), almost every song by Aziz Azion, Tuff B, Nasalawo – Bebe Cool and a couple of songs by Bobi Wine including my personal favourite, Promise. We also have Nash Wonder (Aziz Wonder, Sheebah Karungi, and Goodlyfe); Crouch – Gong Records (Nince Henry) as well as Roni Banton’s Monster Studios [Witty Witty, Jackie Chandiru, AK-47] among others. When one producer has a couple of songs all produced at about the same time, it becomes difficult to play one after the other. Ultimately, some songs will suffer at the expense of bigger hits. Lastly, the lyrical content matters. Certain lyrics may make the song fade pretty fast, especially if they sound rather uncoordinated, immature or make no meaning. Most local artistes churn out bubble-gum music, which only ends up doing a lot of sloganeering and having a very short lifespan or impact. Most of these are songs a DJ won’t play 2 years later and get the crowd’s attention. The language too, plays a crucial role. When our Nigerian brothers are doing their thing, they certainly know none of their East African fans will understand a word of Igbo or Yoruba. So they’ll blend in a mix of their own pidgin English and a few catchwords that will make the crowd figure out the meaning of the song. Most importantly, they make the song’s refrain (what many know as Chorus) predominantly English. That enables them to be in sync with their audiences wherever they may be performing – whether in their native Nigeria or across the continent. It’s this kind of blend that has made them get recognized by internationally acclaimed artistes like Akon, Jay-Z, Rick Ross and others. But how does a local artiste do a complete song in Luganda and expect it to become a big hit on an English radio station? It certainly wouldn’t even make it big in the whole country. It only remains a regional hit. That’s one area where they certainly lose it. Looking at some of the music done by our local artistes, the lyrics are more mature than that from our Nigerian brothers. But whatever the Nigerians lack in lyrical maturity, they make up for it in the dance style, the video costume or a catchy refrain and excellent production. There is a glaring lack of ingenuity in the final product from our local artistes. Some songs appear rushed out of studio. The DJs only try to bring a different dimension and style by playing Nigerian and Jamaican music. The packaging remains the biggest problem.